The battle between loose leaf tea and tea bags has raged for years. Some people adore the usefulness and functionality of tea bags that allow them to brew a cuppa in minutes. Others prefer the artistry of tea brewing that loose leaf teas allow. Discover the differences between loose leaf teas and tea bags and dive into our selection of our favorite loose leaf teas. Pick a few and brew up a cup of tea that you're sure to love. Loose leaf tea refers to the physical form of tea. 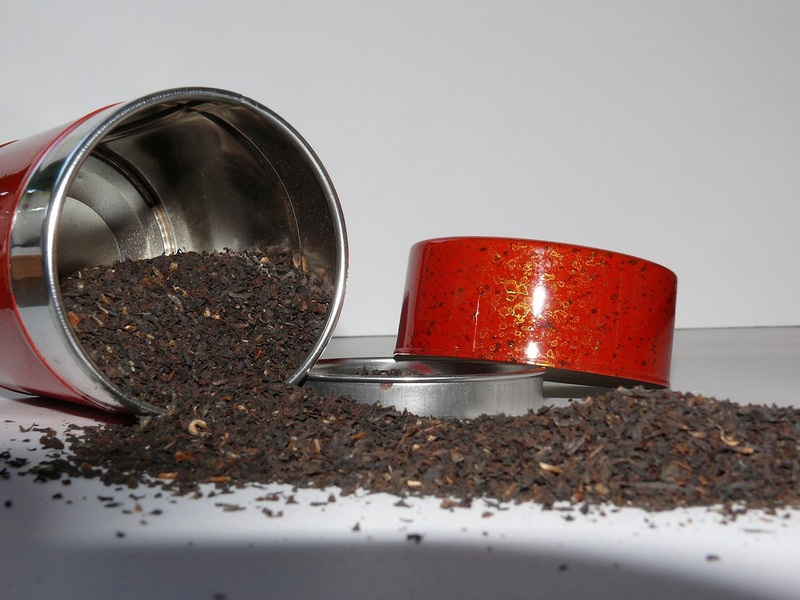 Tea can be sold as loose leaf, in packed cakes, balls, pearls, and tea bags. These physical forms are common for both true teas—green tea, white tea, oolong tea, black tea, and pu-erh tea—as well as for herbal teas. Some teas, such a pu-erh are sold more frequently in one shape, such as in cakes. Herbal teas tend to be sold as loose tea although there are exceptions including flowering tea varieties, which are sold in pearl form. Just about every type of tea comes in a loose leaf variety. 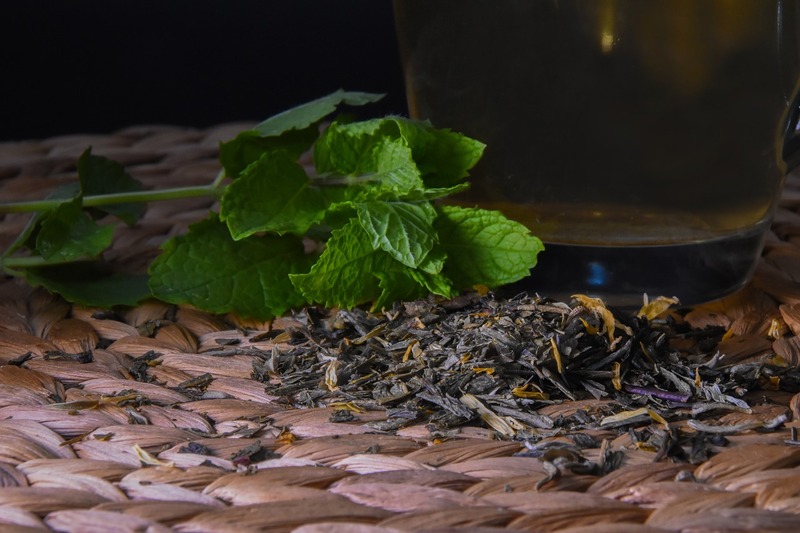 Whether you're looking for fair trade tea, organic tea, tea samplers, or unique blends, you're sure to find it in loose leaf form. Loose leaf teas are considered the gold standard when it comes to quality compared to tea bags. Tea bags contain dust, fannings, and broken tea leaves that offer subpar flavor. Most tea bags contain leaves produced using the CTC or cut-tear-crush method. The leaves are placed in large machines where they are cut and torn into smaller pieces. The resulting leaves are generally used in tea bags and typically consist of lower quality leaves. Loose leaf teas are made using high-quality leaves and produced using the Orthodox method, which preserves the integrity of the leaves. The Orthodox method subjects each individual leaf to a carefully controlled process dictated by thousands of years of tradition. The leaves are typically processed by hand, involving a longer, more expensive, and detailed process. This also results in higher quality teas and better taste. 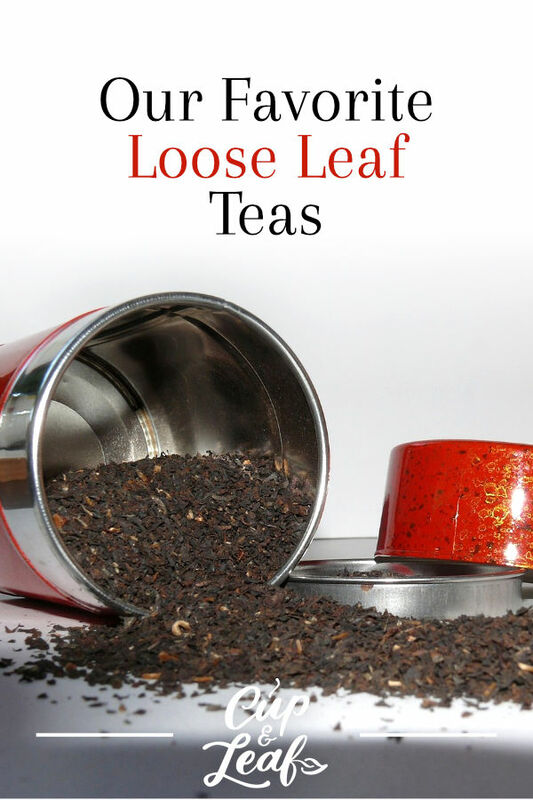 Loose leaf teas can be used to make hot cups of tea as well as iced tea. For brewing iced tea, the loose leaf tea should be brewed first using hot water and then allowed to cool. This is because cold water doesn't develop flavors as well as hot water. However you prefer to drink your tea, check out some of our favorite loose leaf teas that you can try today. 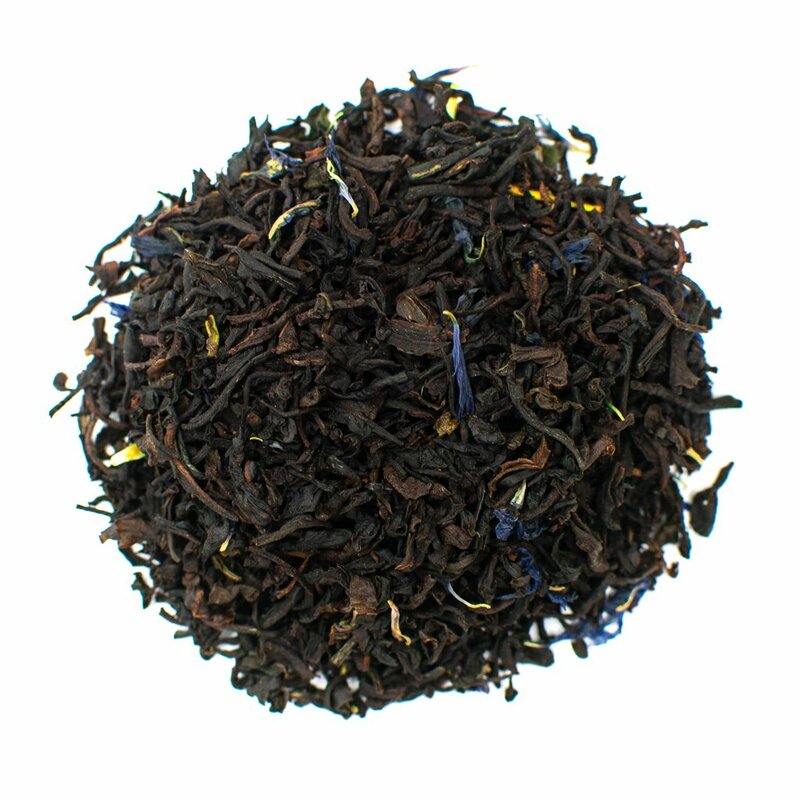 Discover flavor beloved by British royalty with our Earl Grey tea. Earl Grey is classified as a flavored tea and is one of the most beloved British tea inventions. Black tea leaves are infused with bergamot orange to create a citrus flavor that piques the interest of taste buds. The history of Earl Grey tea dates back to China where tea experimentation was used to please ruling classes with new flavors. Legend has it that Lord Grey received the tea as a gift in the 17th century and commissioned the production of the tea near Howick Estate. The tea became synonymous with British tea culture and was served by Lady Grey when hosting high-powered guests. Mix it up with our Jasmine Green Tea With Flowers. This updated take on jasmine tea combines the delicate flavor of jasmine petals with the vegetal taste of green tea leaves. Our jasmine green tea with flowers features dried jasmine petals along with green tea leaves from the Fujian province of China. It offers notes of light, airy flower petals that are contrasted by the brisk, herbaceous green tea leaves. 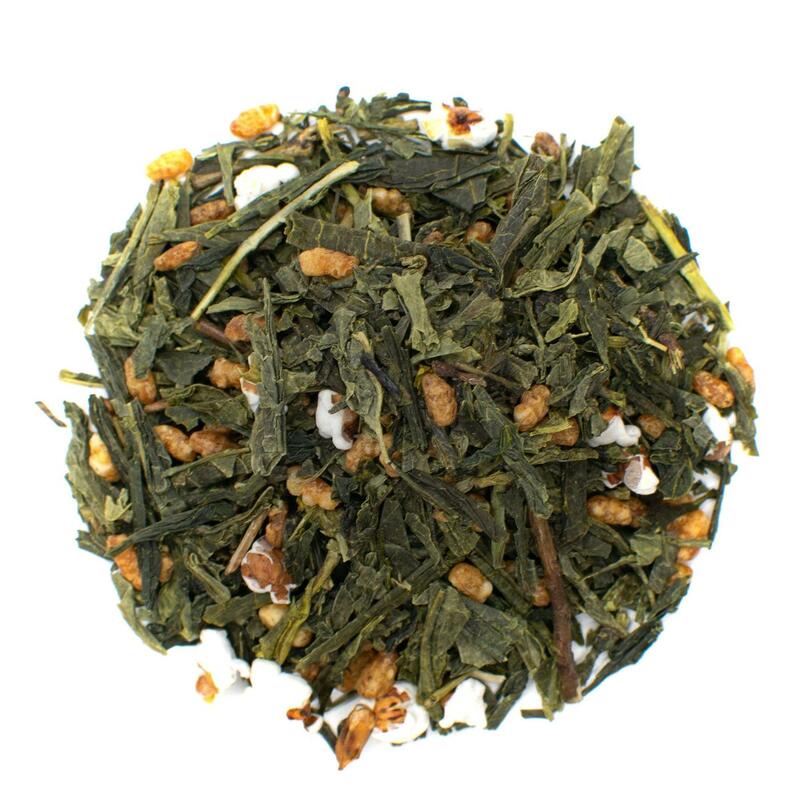 Spice up your tea routine with our Organic Genmaicha Roasted Brown Rice Green Tea. One of the most popular teas in our tea collection, this Japanese creation offers luscious texture combined with delightful vegetal and herbaceous flavor. While not as popular as matcha tea, this Japanese tea offers a unique take on standard green tea. The green tea leaves are blended with popped brown rice that adds a roasted and toasty flavor to the beverage. Jump start your day with our English Breakfast Black Tea. Similar to the popular Irish Breakfast tea and Scottish breakfast tea, our English breakfast black tea is the perfect way to start the morning. Black tea has some of the highest caffeine content of the true teas. A standard cup of breakfast black tea contains about half the caffeine as a standard cup of coffee. True teas such as black tea also contain the amino acid L-theanine, which slows the absorption of caffeine, resulting in a longer-lasting energy boost. Discover the delicate flavor of white tea with our Pai Mu Tan White Tea. White tea is often a new tea for tea drinkers that are just getting into the art of drinking tea. It is made using only the youngest tea leaves of the plant and gets its name from the delicate white fuzz that lines each leaf. Our Pai Mu Tan white tea features a pale color that is paired with a delicate aroma and fresh flavor. 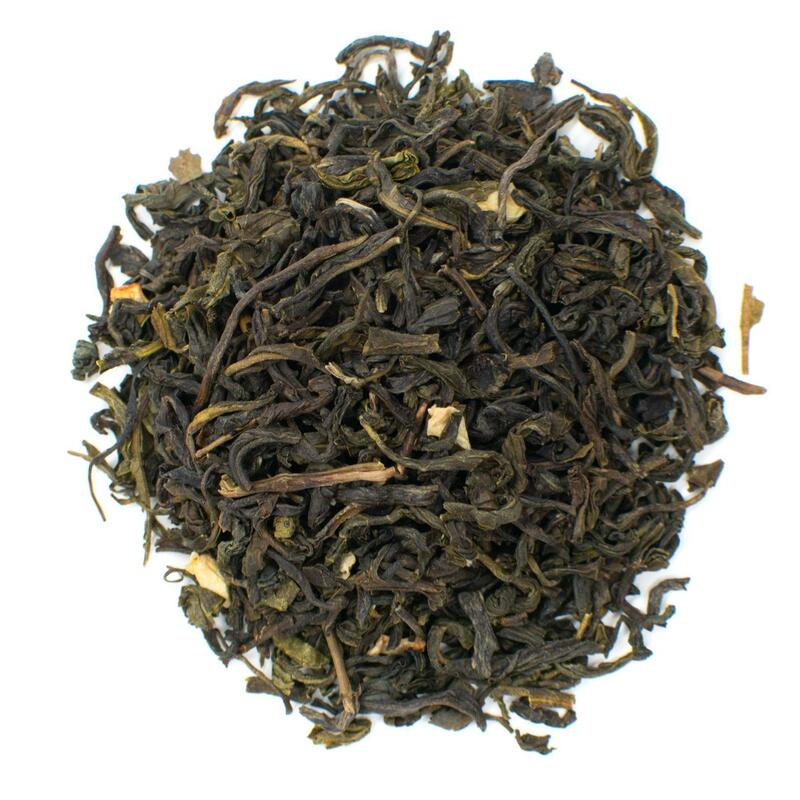 It offers a lightly fruity taste and hints of the vegetal flavor that makes green tea so popular. Sip spiced chai without the caffeine with our Rooibos Masala Chai Tea. Chai tea is typically brewed using five spices—cardamom, ginger, black pepper, cloves, and cinnamon—and black tea. Most chai blends use Indian black teas such as Assam or Darjeeling or Ceylon black tea from Sri Lanka for making chai. 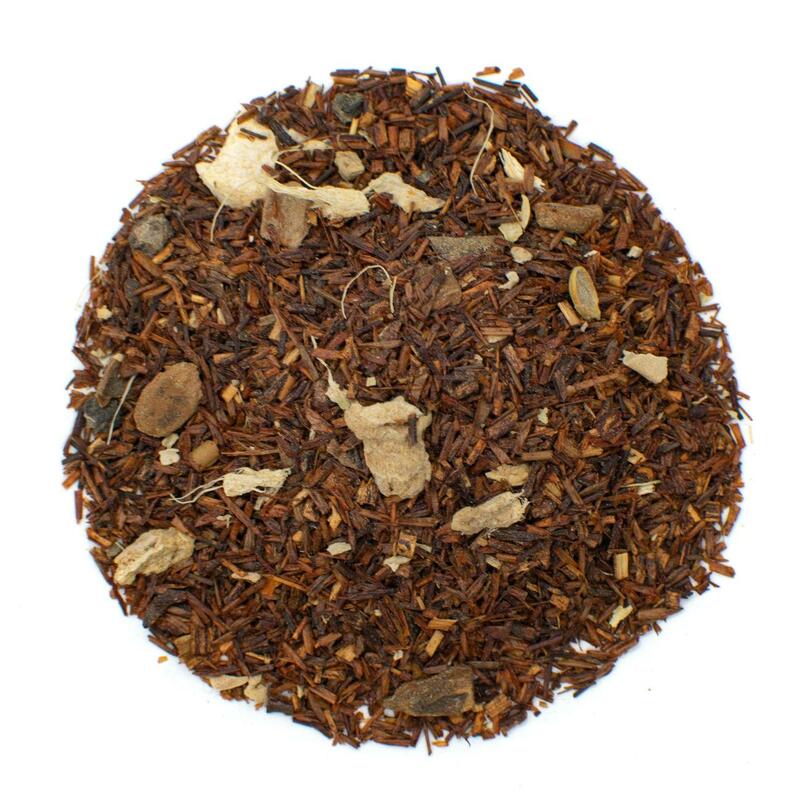 We've changed it up and replaced the black tea in our chai with rooibos tea. Rooibos is a red bush tea cultivated exclusively in the high mountains of Cederberg in South Africa. The plant is naturally caffeine free, offering a masala chai that you can drink at all hours of the day. The African rooibos also adds a delicate citrus note that plays well with the chai spices and adds a new dimension when blended with a dash of milk. Zesty and tangy, our Chamomile Lemongrass Tea is sure to please. 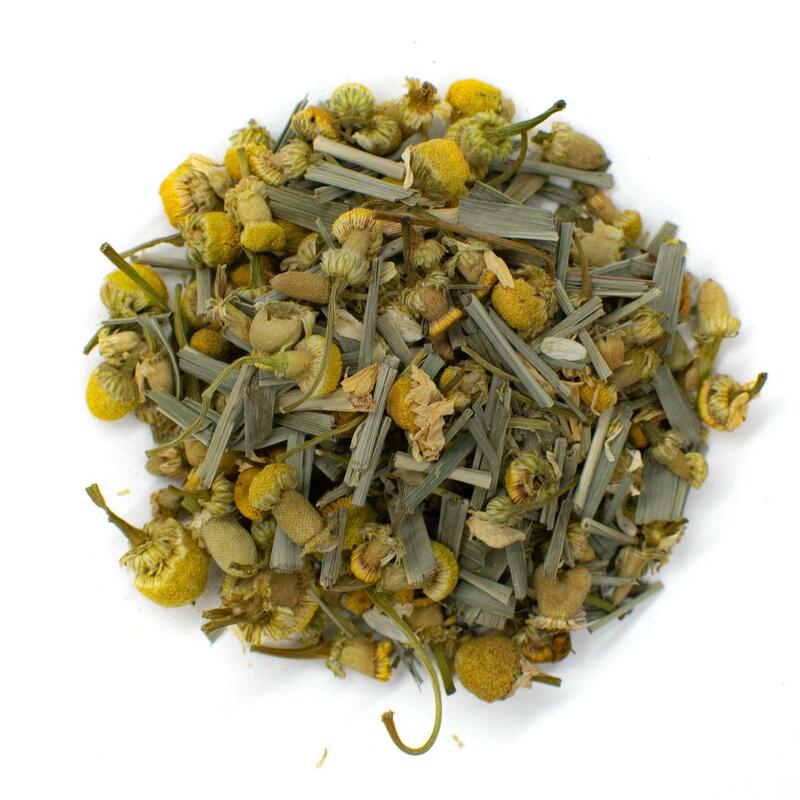 Our chamomile lemongrass tea combines the soothing nature of chamomile while the vibrant flavor of lemongrass. The result is a zesty tea that invigorates tastebuds but also helps to induce relaxation. 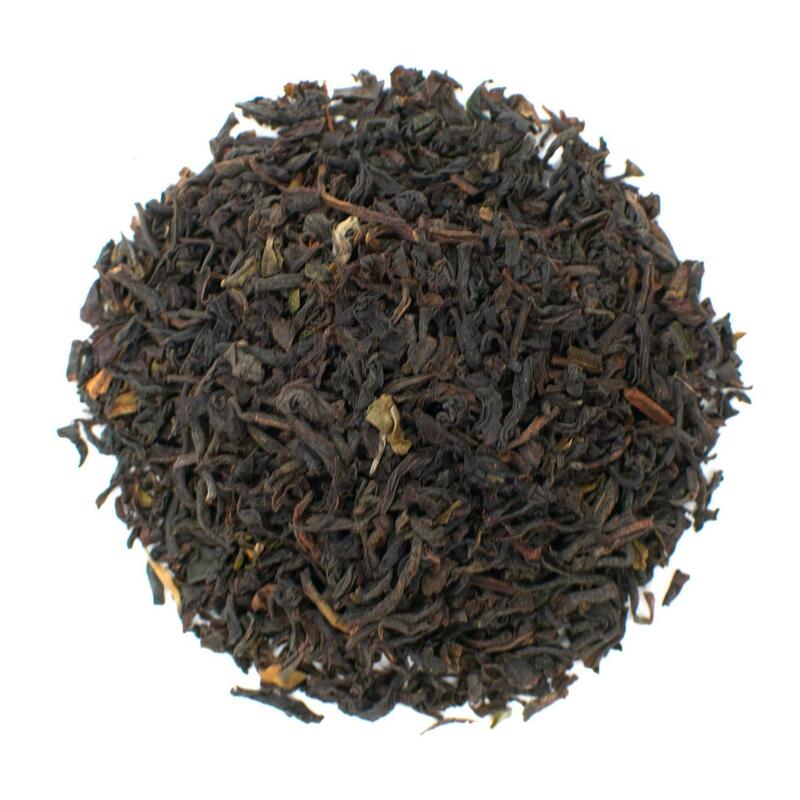 This tea is one of our bestsellers thanks to its delightful blend of contrasting taste elements. Energize your world with traditional South American tea with our Brazil Green Yerba Mate. 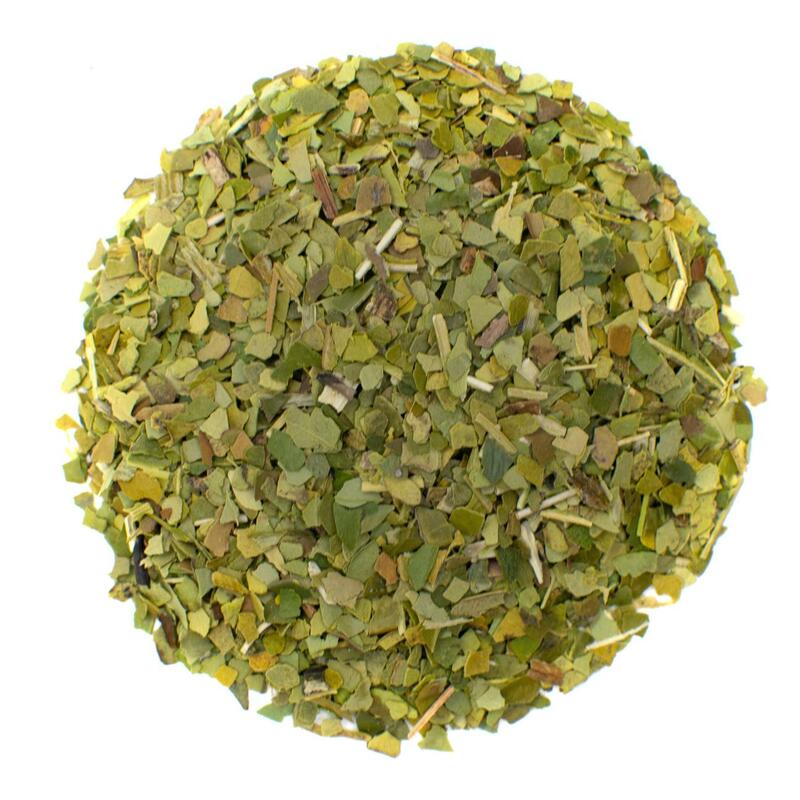 Yerba mate is renowned for its health benefits and its use as a replacement for coffee. 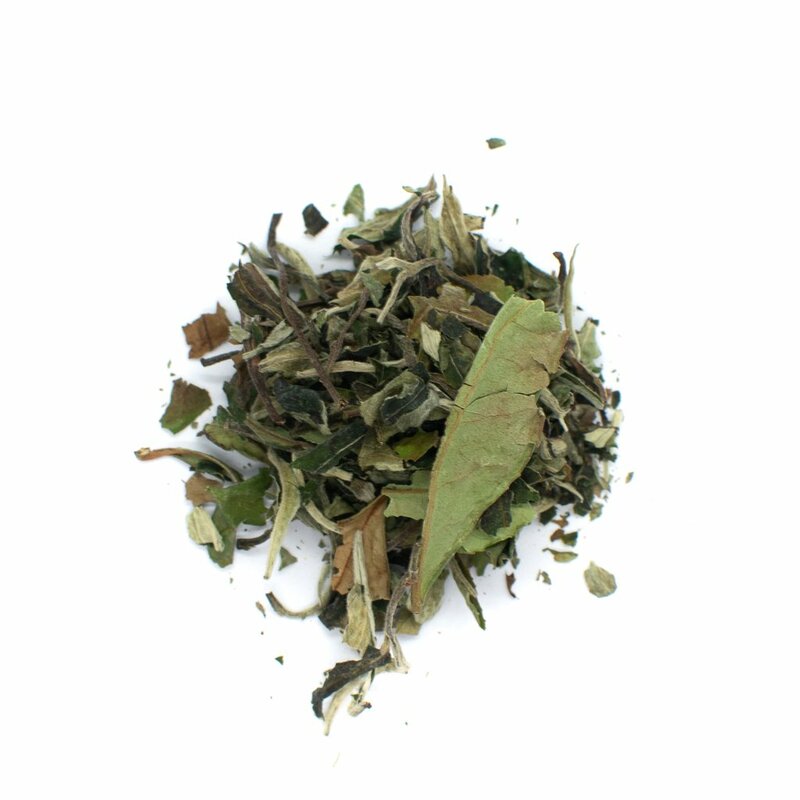 Yerba mate contains high amounts of caffeine and tannins that lend a slightly bitter yet earthy flavor to this tea. Indigenous populations in South consume the tea America as an early morning elixir. The community comes together and interprets dreams and shares legends while consuming the yerba mate at piping hot temperatures. To drink this tea like the South Americans, brew tea in a gourd and sip through a metal straw known as a bombilla. Whatever tea type you prefer, you're sure to find a tea that suits your fancy in our shop. Head over to the blog to find fun tea recipes that you can use to create new beverages and enjoy the art of tea making.